Which CMS is known as one of the most popular multipurpose platforms for creating a blog or an e-Commerce site? I bet most of you would say, without hesitation, that WordPress-powered websites have invaded the web! The number of websites built with this dynamic Content Management System is growing at a fast pace. According to Wapalyzer, WordPress makes up 65% of the current market share. This is because the CMS is easy to install and customize. Primarily it was used specifically for creating blogging platforms. However, due to the growing community, WordPress has evolved into a platform that accommodates lots of handy plugins and widgets that allow you to create fully-featured online stores, portfolios, business web pages, etc. In this blog post today we have decided to share 20 beautifully-designed and well-coded premium WordPress themes that can help you update your site with an ultra-modern look. If you surf the web, you can easily find numerous providers that offer both free and premium themes for your consideration. However, how can you check that they are professionally-created and there will be no pitfalls after you purchase a theme? To help you to avoid becoming a victim of any fraud, in this selection we provide premium-quality WordPress themes only by the trusted providers like, TemplateMonster, ColorLabs, ThemeFuse, ThemesKingdom, and WPZoom. 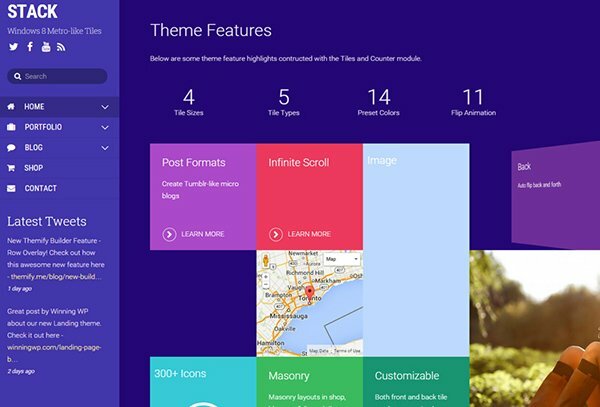 All of these WP themes are feature-rich, so you can use any of them to create a personal or corporate website, portfolio or online store. 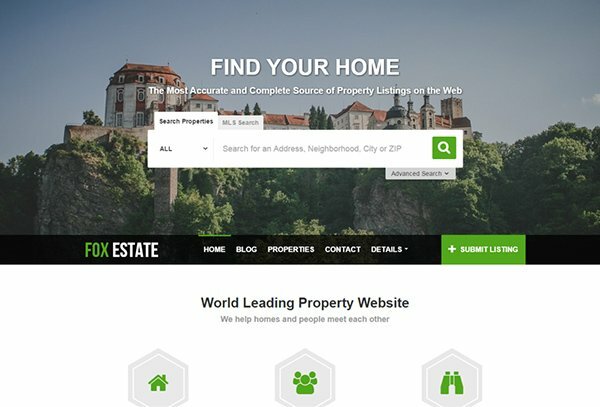 FoxEstate is a premium WordPress theme designed for Real Estate agencies. It comes with advanced search that allows users easily to find the property they want. Google Maps integration and neighborhood places information, make it easier for your visitors to find your physical location. The template has a fully responsive, cross-browser compatible layout that ensures your website will run equally well on any screen size. Djuci has been designed in ultra-modern metro style. Its clean and minimalist layout allows users to focus their attention on your products and services rather than heavy design elements. 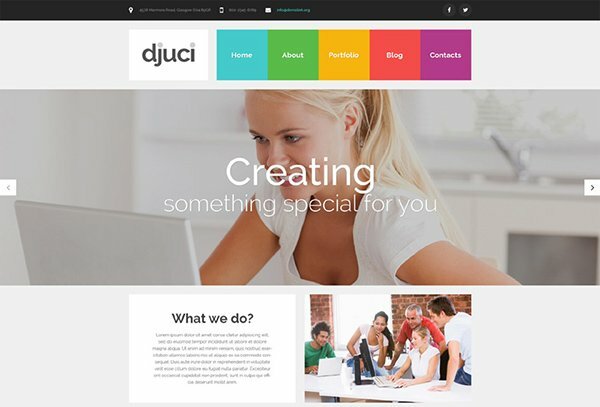 The template is best suited for web design agency websites, however due to its easy customization, Djuci can be adjusted to fit any other business niche. 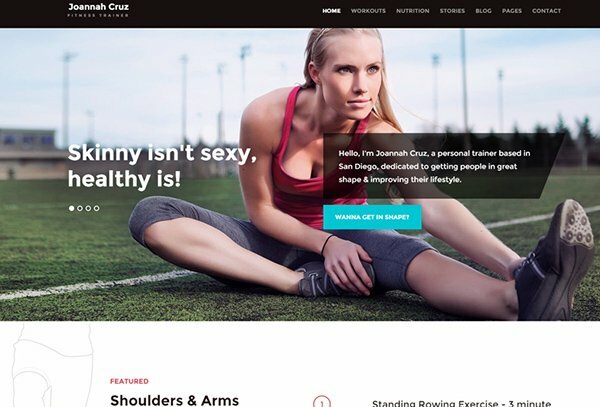 In Shape is a flexible and dynamic premium WordPress theme that can make your Fitness Club website an example of “eye candy”. It comes with a fully customizable layout that allows you to change colors, fonts, backgrounds, and other design elements in a matter of clicks. The template features an integrated workout module intended to keep the users updated on the upcoming training sessions. To facilitate navigation, sticky menu bar has been provided. Avid fans of the Windows 8 interface should enjoy the following template. Just cast a glance at its layout. The arrangement of shapes and flat colors add special charm to the design. Stack is an elegant blog and portfolio theme that uses tiles to present information in a balanced way. Apart from its smart visual presentation, the theme is very functional from the inside, featuring drag & drop layouts, Retina-ready and fully responsive interface, Themify shortcodes, and more. 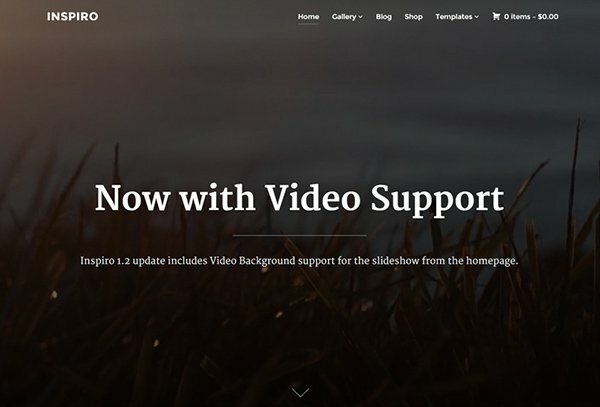 If you are looking for a photo-oriented WordPress theme, then Inspiro from WPXoom should come in handy for you. It is a professionally-designed, fully-featured template best suited for art & photography projects. 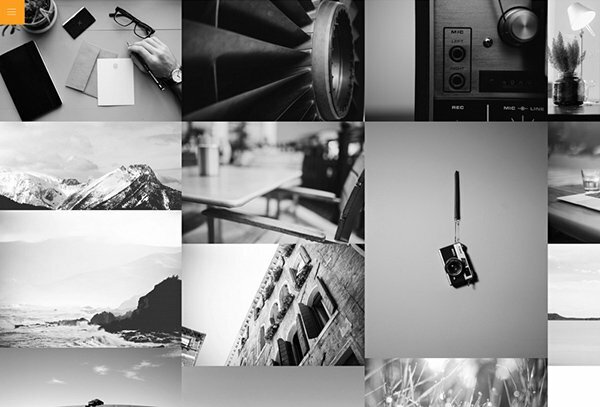 Inspiro boasts such trendy elements as video backgrounds, full-width images, photo-rich sliders, and a gallery module to create a breathtaking online presentation of your business. Unique widgets, custom shortcodes, pre-made layouts for posts and pages, as well as valid code should help you with theme customization. 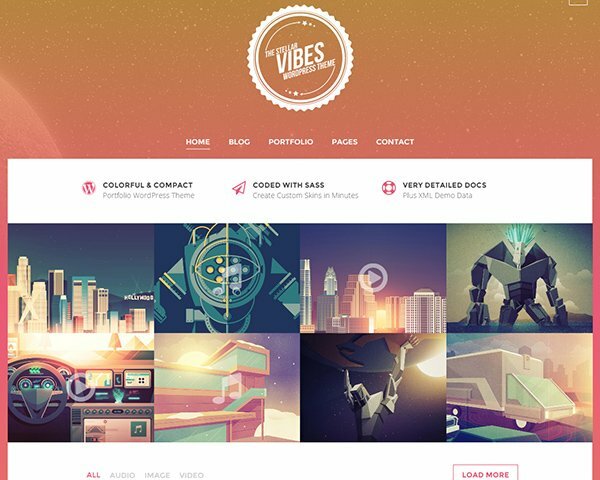 Here is one more premium WordPress theme built in a trendy flat style. Lazy loading, SEO optimization, cross-browser compatibility, and responsiveness provide for better site viewing. On arriving at such a web page, a user’s attention will be focused on the products or services you provide. Multiple color options, built-in theme customizer, custom widgets, 80+ shortcodes and many other handy features will help you to customize the theme easily. Here is a ready-made design best suited for hotel and Real Estate websites. 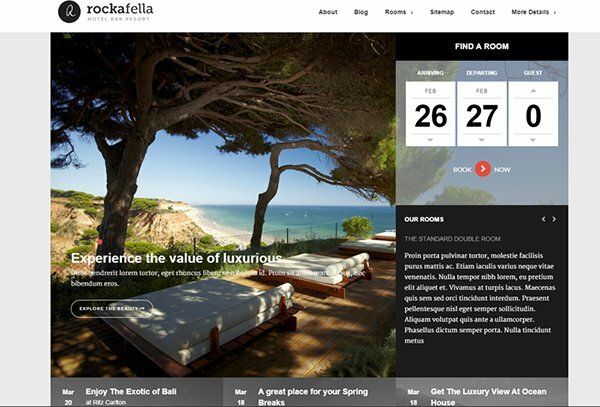 Rockafella comes loaded with advanced functionality to help you showcase your room, provide users with an easy-to-use reservation form, highlight your location, and more. Among other awesome features of this template, that you can safely use to your benefit, we can highlight valid HTML5/CSS3 code, multilingual plugin support, shortcodes, photo galleries, MailChimp integration, custom contract forms, and automatic email reservation. Tell your company story more effectively with the help of The Flavour. 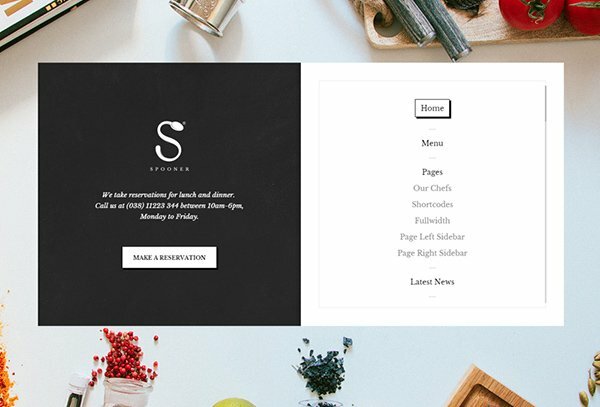 This is a pre-designed restaurant WordPress theme that includes every feature to make your business stand out. The layout is photo-oriented. 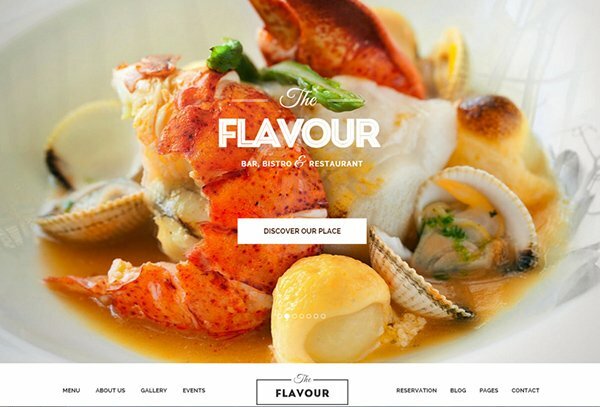 On reaching a website built with this theme, the user’s attention will be grabbed by mouthwatering photos of dishes on the menu, the interior design of your eatery as well as a kitchen staff block. Your visitors will find no difficulty in making a reservation thanks to easy-to-reach contact details. Here is just another beautifully designed WordPress theme intended to make cafes, restaurants, bars, coffee shops, and bakeries look more appealing on the web. The main page resembles a restaurant menu. Mouth-watering photos of dishes with brief descriptions and pricing details, chefs and user testimonials, photo-rich galleries, as well as news and recipe blocks can all be found on the home page. Angle is a minimalist WordPress theme best suited for blogs and portfolio websites. 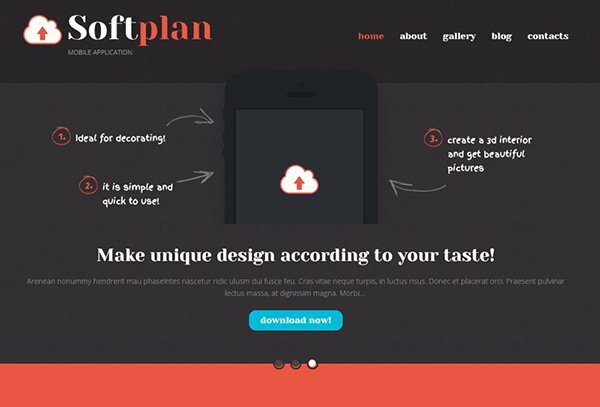 If you want your visitors to focus their attention on your projects and services, then this template will be a perfect fit for you. Angle is responsive and Retina ready, so you may feel confident that your website will look sharp on the most recent generation of devices. Photex has been designed to make your works of art more appealing on the web. The full-width grid-based layout of this template makes this a perfect starting point for creating online portfolios and e-Commerce websites. Navigation on hover, grid-based content structure and fly-out menus make it both functional and visually pleasing. 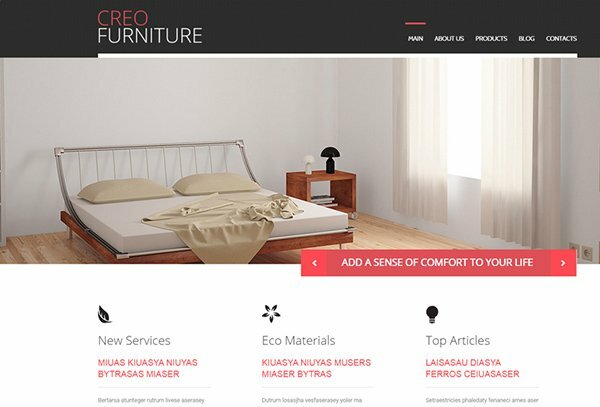 Creo is a well-coded WP theme that can be used for creating or updating interior & furniture, Real Estate, design, and hotels websites. It boasts a full-width responsive layout with parallax scrolling effect and lazy loading images. Sticky navigation bar, drop-down menu and back-to-top arrow will significantly facilitate navigation. The fully editable layout can be easily adjusted to accommodate a number of other purposes in a few clicks. 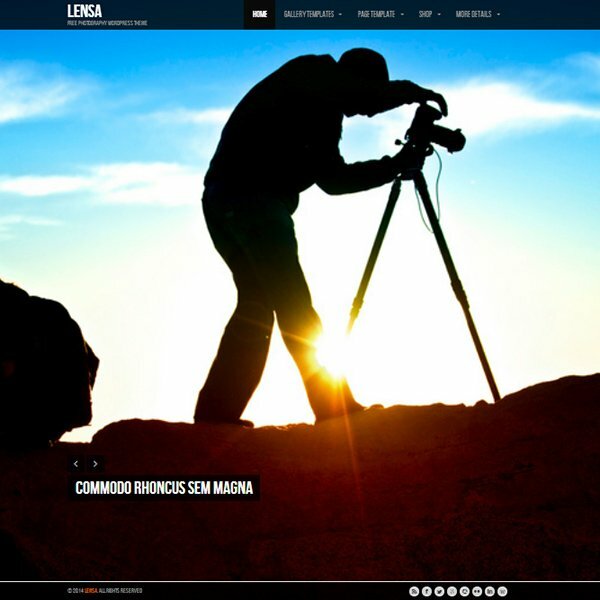 If you are looking for a template that can be used for building a stunning portfolio website, then Lensa could be of use to you. Its full-width layout with slideshow effects will look sharp on both desktop and handheld devices. Additionally, you can connect your website to social networking platforms. This allows the displaying of your updates from Facebook, Pinterest, Flikr, and Picasa right on your site. As the name implies, Freelancer is a one-page WP theme designed to create an online CV or portfolio website. Its flat design-styled layout looks well-balanced. Different content blocks are in contrast to multi-colored backgrounds, which makes it easier to understand your message. The theme is highly customizable and easy-to-use. Advanced admin with lots of handy features makes it easier to customize the theme the way you need, hassle-free. If you are running a food-related business, then the following theme in this selection might be of use to you. 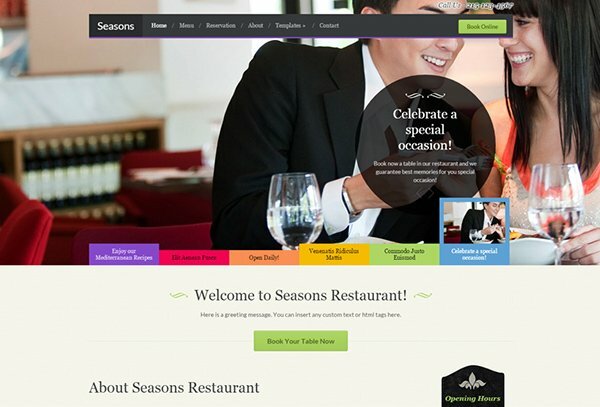 Seasons premium WP theme is intended to make any cafe, restaurant, bar or bakery shop more noticeable on the web. Its full-width layout may look somewhat simple at first glance. However, when you take a closer look at it you will notice a unique slideshow accompanied by eye-catching graphic design elements. The theme is fully responsive and comes loaded with a rich feature set for simple customization. 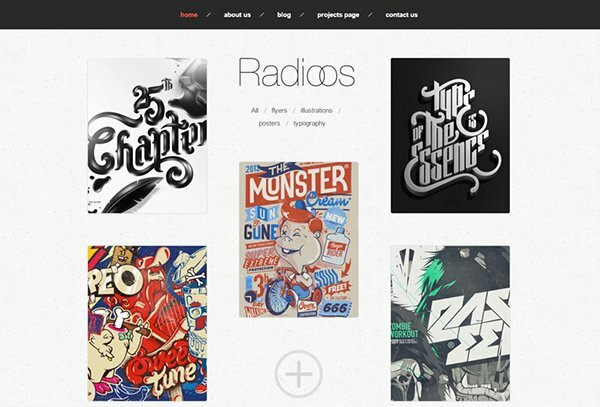 Those of you who prefer simple templates without any heavy design elements should enjoy Radioos. It looks very simple, with minimalist navigation. Such an approach makes it easier to bring your projects to the forefront. With the mouse pointer positioned over any of the preview images, a brief description appears. The latter facilitates navigation and makes it easier for your visitors to find the content they seek. 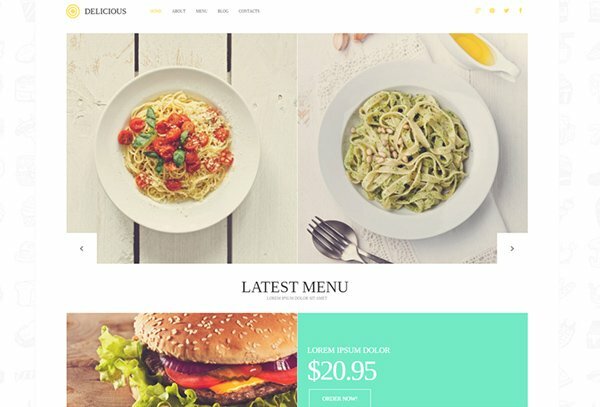 As you may have noticed, our selection of premium WP themes is rich in pre-designed templates for food-related businesses. The following product is no exception. However, all the aforementioned themes are flexible and dynamic. It won’t take you much time and effort to customize them to fit any other purpose. 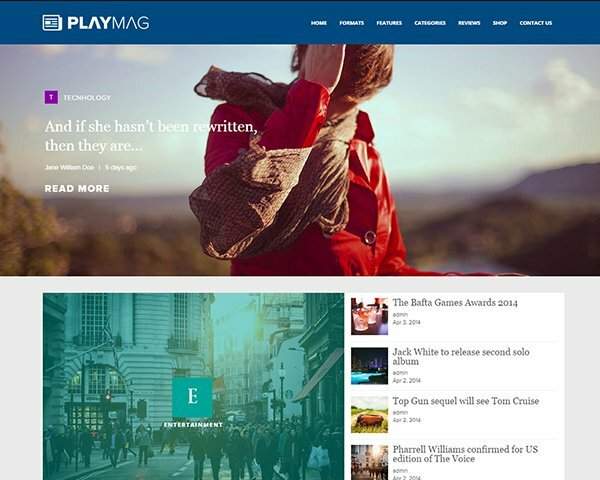 Delicious, in its turn, is a beautifully-designed WP theme with lazy loading images. Contrasting with a light background, bright turquoise banners that appear on hover look very vibrant. Events calendar slider is one of the most outstanding features of this theme. Placed in the header, it immediately catches your visitor’s eye and creates a call to action. 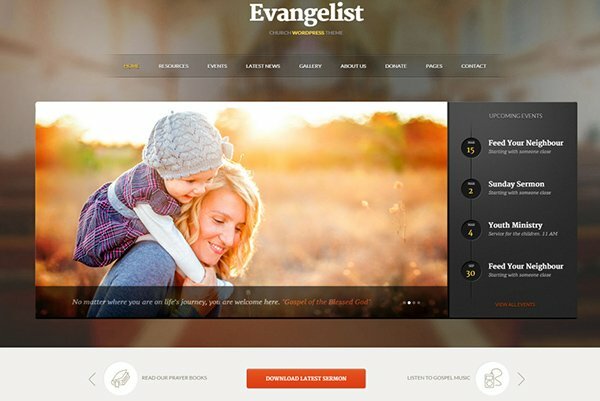 In case you need to post lots of media resources on your site, then Evangelist WP theme will help you to manage that easily. There is a Resource module that lets you upload audio, videos and PDFs. Along with the regular default blog pages, the theme comes loaded with a number of other built-in pages for your convenience, like FAQ, Donate, Pricing Page, and more. Alpha is a perfect theme for building an online news portal. It has a clean and minimalist layout best suited for content-heavy sites. It is fully responsive, meaning that your readers will be able to access your content from both desktop and handheld devices. Alpha includes Magazine and Newspaper styles, built-in news ticker-tape to create a feature of breaking news, ZOOM framework for easier theme customization, and a number of other great features. Last, but not the least on this list, is the WpHotel theme. The template was designed to create a fully-featured hotel, beauty or spa website. No matter which sub-page you’ve opened, a reservation form always remains visible. The template includes translation options, MailChimp and Google Maps integration, contact form, online booking system, and many other handy features to help you create a one-of-a-kind online presentation of your business. Written by Katherine Crayon, a copywriter reporting on tech news and all aspects of the web design industry. Anyone looking for a magic kicker to get your own online business started meet her in person on G+ and Twitter. Perfect collection for trendy business look. Thank you for sharing this with us. Nice write-up! 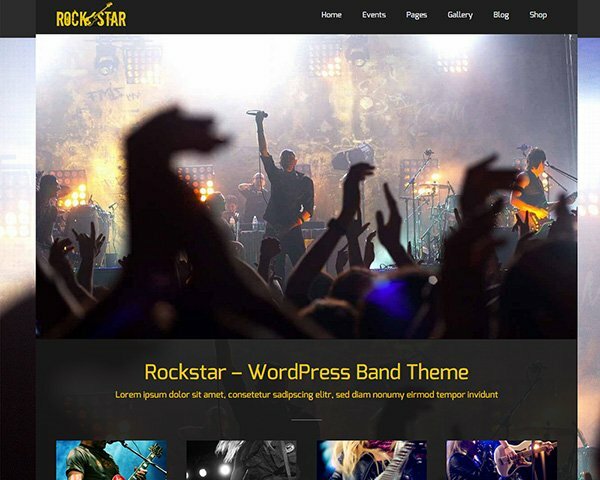 I got to know about amazing WordPress themes. 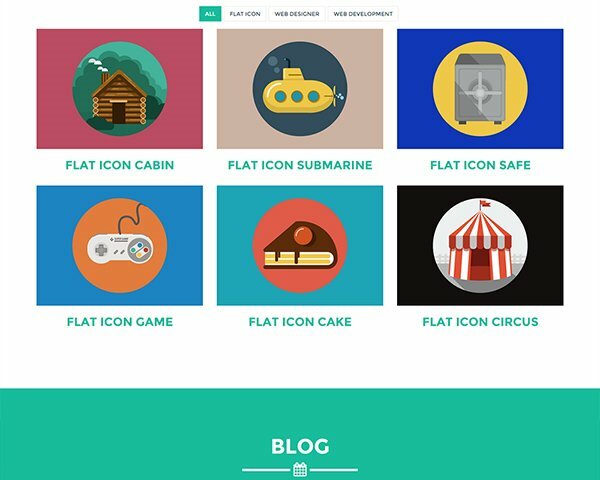 I like FoxEstate, Djuici, In shape WordPress themes a lot and I will try to design such structural themes using TemplateToaster. It is a useful software with astonishing features. Well, thanks for your amazing article!